This script converts a text file from an old Unicode encoding to a new Unicode encoding (e.g., from 'latin1' or 'utf16', to 'utf8' or 'latin-1'), changing the text file in-place. Parameters are input in the console window, unless all are provided. This originally appeared in frigcal (where it has additional examples, and serves as a utility for ".ics" calendar files), but it can be applied to any type of text file. 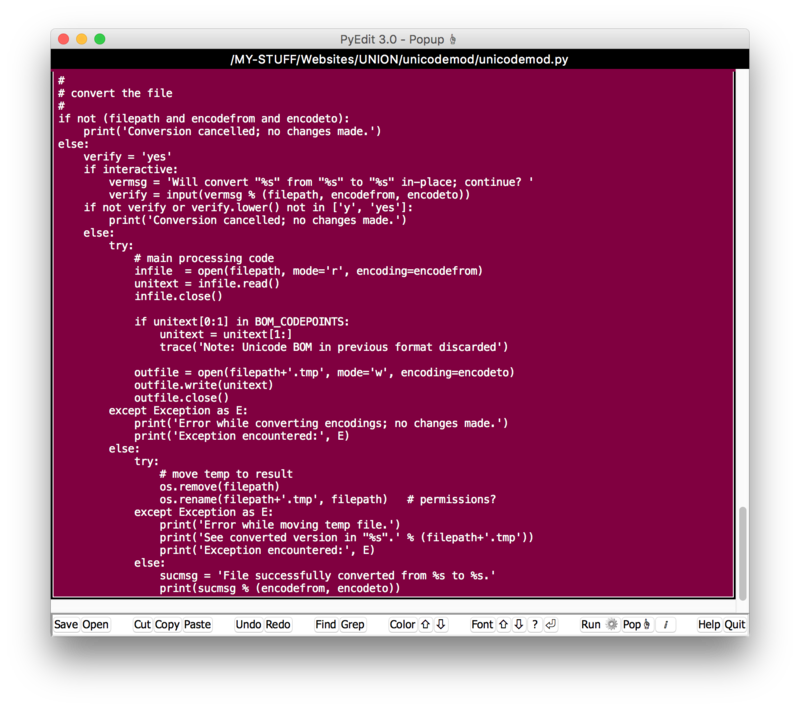 Alternative: the PyEdit text editor lets you Open in one Unicode encoding, and SaveAs in another. The script here may be more useful in command-line and batch roles.